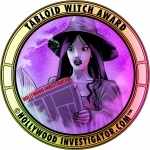 [HollywoodInvestigator.com] Contrary to its La-La Land image, Los Angeles has its own literary scene, spawning such original voices as Raymond Chandler, John Fante, and Charles Bukowski. A generation ago, independent bookstores -- of new and used tomes -- filled L.A.
Then the rise of chain superstores such as Borders and Barnes & Noble shut many of the indies down. The ones that survive are those offering specialized and knowledgable niche services to customers. 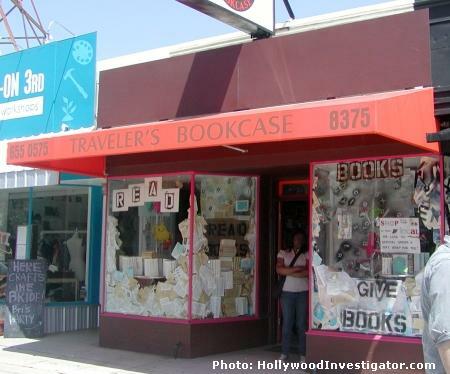 L.A.'s Traveler's Bookcase, located at 8375 West Third Street, is one such store. 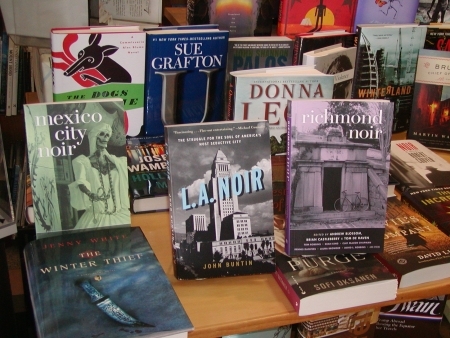 As the name implies, their specialty -- and expertise -- is travel books. 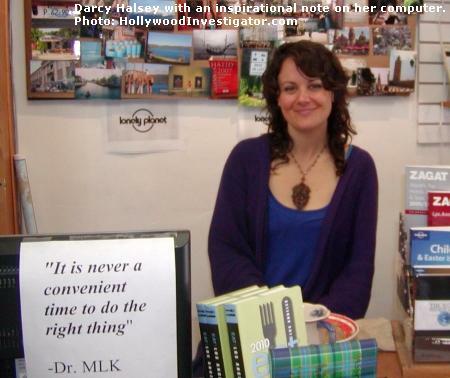 "I've seen the owner spends hours with some customers, sharing travel advice and helping them with their upcoming trips," says actress and store clerk Darcy Halsey. The store is set up for such intimacy, offering a comfort zone where people can sit, sip tea or coffee, and discuss travel and books about travel. 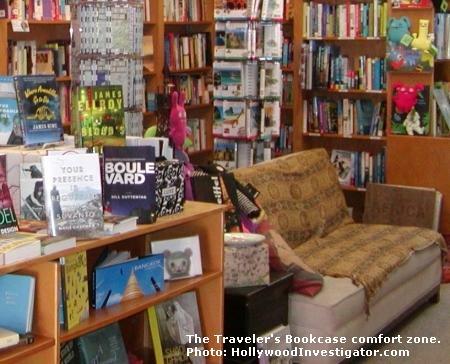 "We are the only travel bookstore in all of Los Angeles," says owner Natalie Compagno. "We have maps from around the world, and a lot of unique imported guides. For example, Luxe from Hong Kong. We love Bangkok from Bangkok, A La Carte maps from Switzerland, and Love Guides from India." Yes, you can buy them at Amazon.com. But you can't sit on a couch, meet fellow traveler's and authors, and listen to speakers. The indie stores that survive are the ones that compete with cyber-shopping by offering flesh world experiences. But it's not only about travel -- Traveler'sBookcase has a sideline devoted to mystery books about travel. 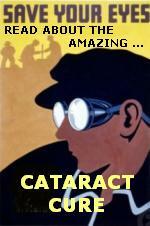 Mystery fans can prepare for upcoming trips by reading some sleuthing tales set along their itinerary. "We have a mystery table with mysteries set around the world," says Compagno. "We've had two signings recently -- Michael Genelin and Cara Black, both hugely successful. We'd love to have more events." Compagno is open to customer suggestions about starting future reading groups, book clubs, and other in-store events." "We also have lots of coffee table books for gifts," she says. "And I just got pulled onto a gift basket project for E Entertainment, and had to make some books happen!" Traveler's Bookcase was started by Priscilla Ulene and Harriet Bay in 1991. Compagno explains: "I heard it was closing due to Particular -- who had sole ownership as of 1996 -- retiring. It was my favorite store in L.A. so I offered to buy it. On a crazy whim!" Store hours are Monday 11-7, Tuesday through Saturday 10-7, and Sunday 11-5. Open every day except July 4th, Christmas, Thanksgiving, and New Year's.